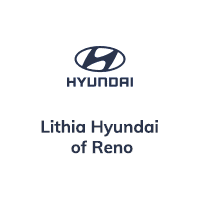 Make Lithia Hyundai of Reno your top choice for Hyundai maintenance and repairs in the Reno-Sparks metropolitan area. Our expert technicians can service any make or model vehicle. Whether you’re in need of major repairs such as exhaust or transmission repairs, or routine maintenance like oil changes, brake pad replacement, tire rotation and regular tune-ups, you can trust your car, truck or SUV to Lithia Hyundai of Reno. Our Reno auto service center is conveniently located near Fernley, Carson City, Sun Valley, Lemmon Valley and Sparks, Nevada. Stop in or schedule auto service today! If you’re like most of us, you expect your vehicle to last more than a couple of years. In order to get the most life out of your Hyundai, however, you must adhere to regular maintenance as recommended by the manufacturer. When you do this, you’ll keep your car running for longer, usually with fewer repair expenses over the course of ownership. When you have your car or SUV serviced regularly, skilled mechanics will often alert you to potential problems ahead of time that can reduce your risk for more costly repairs. At Lithia Automotive Service Centers we work on your schedule. You’ll get up-front pricing so you know what to expect and what we’re repairing, and we guarantee all of our work on your vehicle. Learn more about the value you get when you bring your car to the Service Department at Lithia Hyundai of Reno.